Here you can find three most common representations of the D.I. Mendeleev's periodic table of chemical elements. 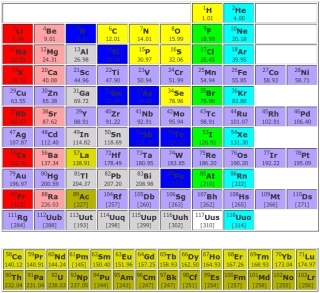 This is narrow form of the Periodic Table of chemical elements. This is classical form of the Periodic Table of chemical elements with exclusion of Lantanoids and Actionoids.